Hotels near Victoria Underground Station. Prices & Easy Booking‎! London Victoria station, generally known as Victoria, is a central London railway terminus and London Underground complex named after nearby Victoria Street, the latter being named after Queen Victoria. With over 81 million passenger entries and exits between April 2013 and March 2014, London Victoria is the second-busiest terminus in London after London Waterloo. The railways serving destinations to the south of London were inconvenient for Central London as they terminated south of the river Thames, whereas the main centres of population, business and government were north of the river in the City of London, the West End and Westminster. The London and Brighton Railway terminus at London Bridge provided reasonable access to the City of London but was most inconvenient for travellers to and from Westminster. As early as 1842 John Urpeth Rastrick had proposed that the railway should build a branch to serve the West End, but his proposal came to nothing. 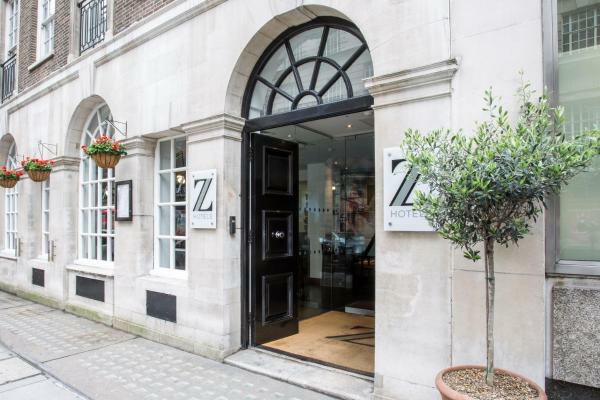 In the central London district of Victoria, The Z Hotel Victoria offers compact and luxurious accommodation with a contemporary design. 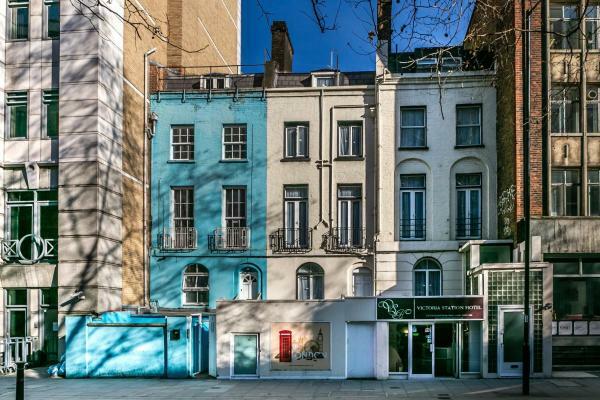 Victoria Rail and Underground Stations and Buckingham Palace are just a 5-minute walk away. Set in London within 700 metres of Buckingham Palace, London Victoria Apartment provides accommodation with a flat-screen TV and a kitchen. Complimentary Wi-Fi is provided. An oven, a microwave and toaster are also available, as well as a kettle. Park Plaza Victoria Hotel features a modern spa, stylish cocktail bar and large luxury bedrooms. 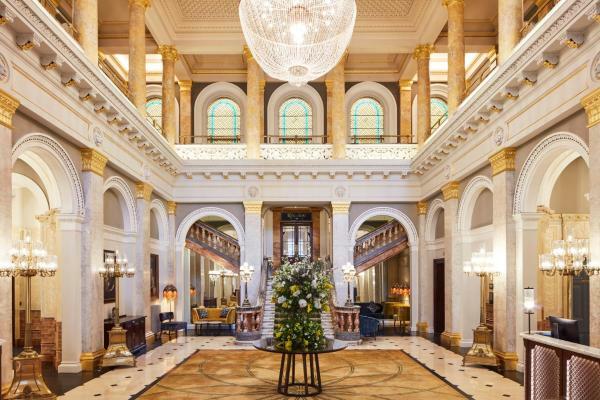 Situated in lively Victoria, the hotel is a 2-minute walk from Victoria Station, and a 5-minute' walk from Buckingham Palace. 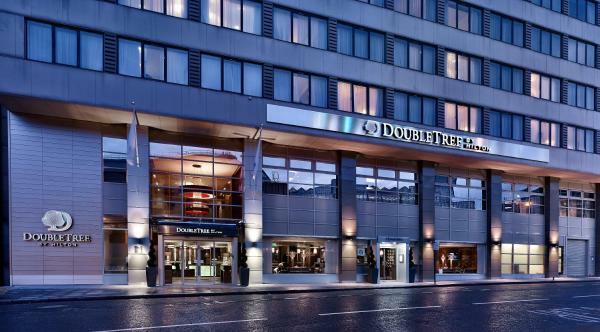 Double Tree London Victoria is located opposite Victoria Station, with links to Gatwick and Heathrow airports. Buckingham Palace is a 15-minute walk away and the iconic London Eye is less than 1 and a half miles away. The 4-star Grosvenor hotel is located directly opposite Victoria rail, underground and bus station and 8 minutes' drive or public transport from the centre of London. 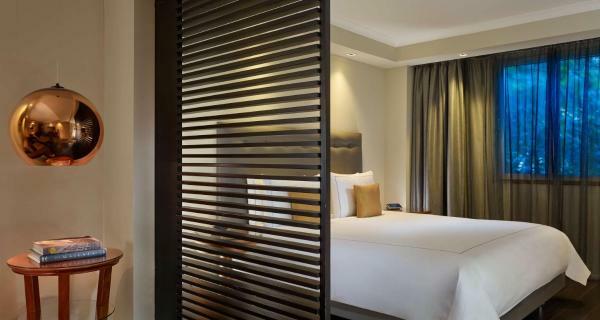 Free Wi-Fi is provided throughout the hotel and 24-hour room service is available.